Hatchimals, perhaps the most sought after toy of the holiday shopping season, left some parents and kids frustrated on Christmas morning. Parents lucky enough to get their hands on the item, which was largely sold out in stores for weeks, are complaining the product doesn't hatch. The toy "hatches" from an egg when children knock, tap, or rub on the shell after about 30 minutes of playtime. 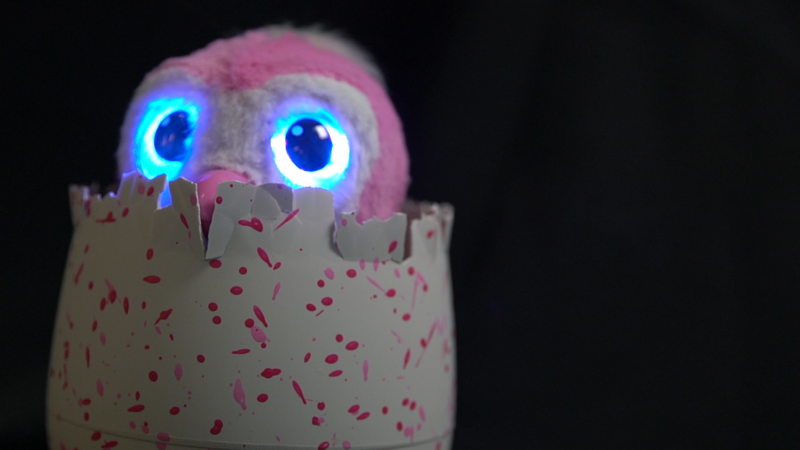 The Hatchimal inside responds with lights and sounds and eventually hatches into a creature kids can talk and engage with. "Unfortunately, with toys that incorporate a high level of technology, there are also some cases where the product may not perform as well as expected," said a spokesperson for Spin Master, Hatchimals' parent company. "We are committed to doing everything possible to resolve these issues." But unhappy customers continue to air their frustrations with the toy on Twitter. 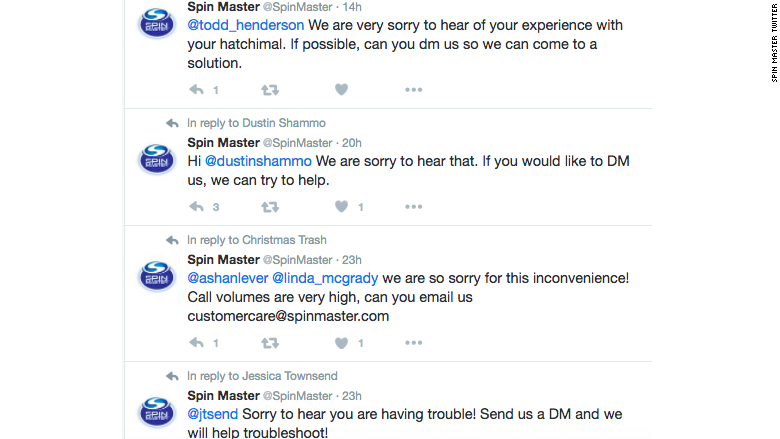 @SpinMaster i have been calling for 2 days, it keeps telling me to call back later, #Hatchimals is a dud & store won't take it back. "I have been calling [the company] for 2 days. It keeps telling me to call back later. #Hatchimals is a dud & store won't take it back," tweeted Jessica Brown. Spin Master told CNN it has since increased its customer support staff to help customers troubleshoot the issues. "We have increased the number of customer case representatives, extended our hours and increased the capacity for callers in the queue to help prevent calls dropped due to the holiday volume," the spokesperson said. "We are reviewing each and every consumer inquiry." Hatchimals isn't the only product in hot water after Christmas. Consumers experienced connectivity errors related to the Barbie Hello Dreamhouse, an app-connected smart home for Barbie. Mattel said on Twitter it is aware of the issue and is working to fix it. Mattel and Spin Master did not respond to requests for comment.